IT administrators with Hewlett-Packard laptops in their inventory should be checking the devices’ AC power cord following a huge recall announcement from the company. It said Tuesday that some 6 million cords on HP and Compaq notebooks and mini-notebooks as well as AC adapters that came with accessories such as docking stations and sold between September 2010 and June 2012 could pose a fire and burn risk. 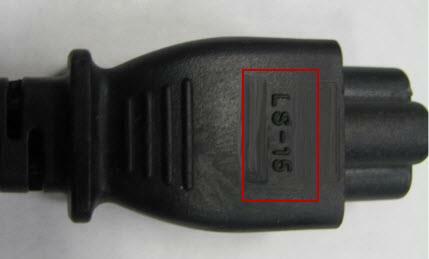 Potentially affected power cords have a molded mark on the adapter end of the power cord that says “LS-15.” However, not all power cords with the “LS-15” molded mark are risky. HP advises customers to immediately unplug their power cords to check for the number. If the cord has the mark customers should enter their email the company on this page for further communications on receiving a replacement. Meanwhile Apple is recalling “a very small percentage” of iPhone 5 handsets with batteries that suddenly experience shorter battery life or need to be charged more frequently. They were sold between September, 2010 and January 2013 and fall within a limited serial number range. To see if a handset qualifies, enter the iPhone serial number on this page.